The Ukrainian World Congress (UWC) is organizing an international election observer mission to the Presidential elections in Ukraine being held on 25 May, 2014. 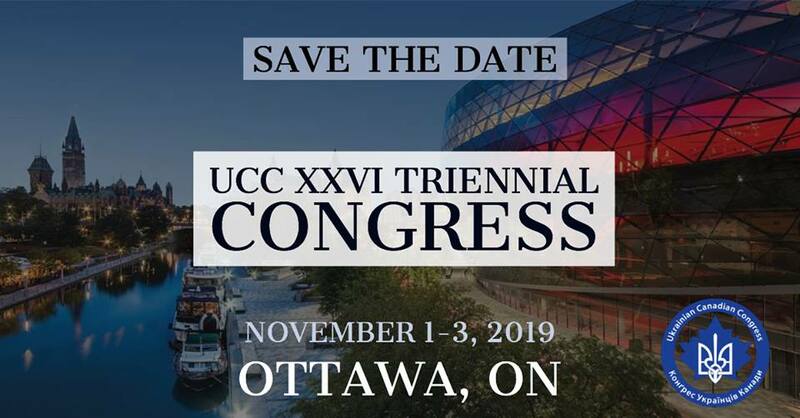 The Ukrainian Canadian Congress is an integral part of the UWC and of the international observer mission. We encourage our members to volunteer to serve as election observers. More information on the UWC mission can be found in the attached release. The deadline for applications is 5 May, 2014. In addition, the Organization for Security and Cooperation in Europe (OSCE) is also sending an international election observer mission. The Canadian deployment is being managed by CANADEM and funded by the Government of Canada. More information can be found at http://www.canadem.ca/home/en/ukraine-2014.html. The deadline for submitting applications is 14 April, 2014, noon EST. The Ukrainian World Congress (UWC) will deploy an International Election Observation Mission to the Presidential Election in Ukraine scheduled for 25 May 2014. The UWC is calling for volunteers to join its International Election Observation Mission, the objective of which is to support a more open and transparent electoral process in Ukraine by monitoring the electoral process throughout Ukraine and at diplomatic posts around the world. The UWC International Election Observation Mission will be headed by Judge Bohdan Futey from the United States. The Chief Observer will be UWC Third Vice President Peter Sztyk. In October 2012, the UWC International Election Observation Mission deployed the largest non-government funded international observation mission to the Ukraine Parliamentary Election with over 250 long-term and short-term observers from 20 countries. for volunteers interested in joining the UWC International Election Observation Mission to the Presidential Elections is available on the UWC web site. The UWC is the international coordinating body for Ukrainian communities in the diaspora representing the interests of over 20 million Ukrainians. The UWC has member organizations in 33 countries and ties with Ukrainians in 14 additional countries. Founded in 1967, the UWC was recognized in 2003 by the United Nations Economic and Social Council as a non-governmental organization (NGO) with special consultative status. Світовий Конґрес Українців (СКУ) розгортає працю своєї Міжнародної місії зі спостереження за президентськими виборами в Україні 25 травня 2014 року. СКУ закликає добровольців взяти участь у роботі Міжнародної місії СКУ зі спостереження за президентськими виборами в Україні, метою якої є підтримка більш відкритого і прозорого виборчого процесу в Україні шляхом його моніторингу в Україні та в дипломатичних місіях у всьому світі. Міжнародну місію СКУ зі спостереження за президентськими виборами в Україні очолить суддя Богдан Футей з США. Головним спостерігачем місії буде третій заступник Президента СКУ Петро Штик. У жовтні 2012 р. Міжнародна місія СКУ зі спостереження за парламентськими виборами в Україні була найбільшою міжнародною спостережною місією, яка без жодного урядового фінансування здійснювала моніторинг парламентських виборів за участю понад 250 довгострокових та короткострокових спостерігачів з 20 країн світу. для участі добровольців у Міжнародній місії СКУ зі спостереження за президентськими виборами в Україні подано на веб-сайті СКУ.